Uncover the 72% of candidates that are lying. SHI Group China is a premier China recruitment agency. We recruit Trustworthy Talent® for Western companies active in China. We do not wait for resumes like other recruitment agencies. We research, find and deeply interview the best trustworthy candidates your company needs out of the 28% we identify… Ultimately saving you time, money and future headaches. 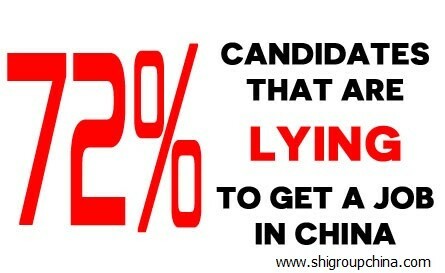 As a recruitment agency China, SHI Group finds that 72% of candidates are lying to get employment with you, and we filter them out. We have deep experience in recruiting the following positions for our clients: General Managers, Operations, Finance, Quality, Supply Chain, Engineering, and Sales Leaders. SHI Group China is a premier recruitment agency China. We are a headhunter in China that specializes in executive recruitment China. We are a best in class China recruitment agency that focuses on Trustworthy Talent® for existing companies in China as well as companies who would like to enter the Chinese market. The first step to getting great results for your business in China is choosing the right people. Any headhunter or recruiter can find you people of talent. We at SHI Group China, however, specialize in finding Trustworthy Talent® who have a passion for your culture. Furthermore, these candidates have the character to learn what will make your business successful in China. We find talented people with character that your company can trust in China. At SHI Group China, we use our AccuHire® China recruitment process to find your company excellent candidates with character, which we call Trustworthy Talent®. So, what is the secret to our success as an executive search China agency? How do we help companies in China save time and money and increase profit margin? Why do clients and candidates turn to SHI Group China again and again as their trusted China headhunter? The answer to all three questions is the same: SHI Group weeds out the people who very fluently lie to you in the interview. That is why companies like us and come back to us again and again. Workers who are talented can make you money or know best how to steal your money. 72% of Chinese managers that Western companies in China hire have falsified their experience to get their positions. It is just those people who have amazing interview skills and polished resumes that always put themselves first and use every word to advance their cause. These politically skilled people drag down efficiency in our enterprises here, and it is all not necessary. Trustworthy Talent® can be found and identified in China in every place and skill specialty. They are more than worth the effort to consistently bring on your team. Hence, we are an executive search China recruitment agency that gets our clients the results that are looking for. Get SHI Group China for your premium recruitment agency in China now. SHI Group gave us the strategy, recruiting and consulting we needed to give new life to our China venture. Working with Jim helped me in more ways than I can mention. If you are looking to get started in China or want to do better in China, they can help you and you will be partnering with caring and wise people. SHI Group assisted us to place two high-level personnel at our Beijing organization. Both were professional and competent people that we highly need. I would recommend SHI Group to place people of character and ability to anyone who asked. Jim has great strategic insight and deep ability to gain understanding of a company. Jim showed this clearly in the matter of Pritronics and its owners at the holding company Headquarters. He gave a lot of guidance and support which took Pritronics from four consecutive years of losses to its first ever profitability. SHI Group China is a China recruiting company that uses our AccuHire® China recruitment process to deliver talented people with character for your business. Need to bring your business to China? SHI Group China offers dedicated workers for sales, market research, R&D, sourcing and service. We know the pressure you’re under to find leaders who fit in with your organization and make it stand out. SHI Group China, a premier recruitment agency China, offers the most validated executive search China approach. We not only dig deep to find the best, but dig deeper to make sure they have done what they said. With real data, you can make the best possible decision for the long term, the first time. Our search professionals work to understand the issues and needs in your company. We work to recognize the challenges that are unique to your organization. Additionally, we make fit by finding people who fit your company culture. Finally, we find the candidates that are best suited to lead the way forward for your firm. Attracting top talent can be time-consuming, costly, and complex, but deep search and deep background checks can simplify and accelerate your search while mitigating risk. No one knows more about getting the facts in executive search China than SHI Group China. Our executive search process gives you assurance that you are selecting the candidate with the right skills, qualifications, and values for the job. Moreover, we can even help you know what pay package is suitable. In the high-stakes competition for the best executive talent in China, you don’t want to waste time with unvetted candidates. At SHI Group China, we are true industry insiders who understand how things work in your world. We know that each search is unique as is each company. SHI Group Recruiters are focused and transparent to ensure you benefit from everything we know. We strive to know all we can about your organization to gain deep insight into what kind of leader will be most effective for you—right from the start and long term. SHI Group works with you to pinpoint the ideal candidate’s competencies, personality traits, and behavioral characteristics. It’s true, an important part of our role is helping you rethink the very concept of “ideal candidate.” We work with you to develop candidate profiles. In addition, we help you weigh the immediate challenges of the role. Finally, we seek to understand your strategic objectives and the corresponding opportunities to enhance the strength of your team. Our headhunter China services are among some of the best you can find internationally. This is simply a byproduct of our tenacious determination to deliver extraordinary value to each client we serve. Our SHI Group China team works tirelessly to help you attract top talent that are spot on for your needs and trustworthy in every way. 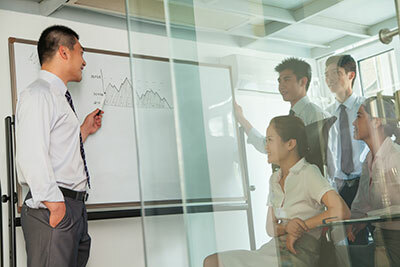 To stay on the cutting edge of talent strategy, we constantly track key trends in the China market for talent, and continually improve our services. Throughout the headhunter China process, our evaluations go far beyond the customary professional track record check and referencing. We methodically research behind the resume and interview to get real data. 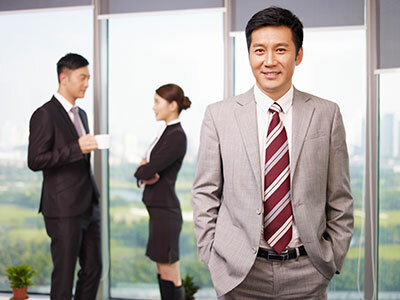 Executive Search China candidates are very seasoned in the interview process. Furthermore, SHI Group interviews deeply and uses that to set up the strongest of background checks. Among top leaders, we find that fully 80% are lying to get the job. We weed them out and offer you the other 20% who have real talent. Other China head hunters can find good resumes and coach them to do a good interview. They do not tell you bad things about their best candidates. Contrarily, we tell you the truth about each candidate even when it makes work for us. This is especially the case when a guy appears to be the best candidate as he has a perfect resume and a flawless interview. 90% of the time these people are all talk and no substance. No one is perfect and these guys are just lying to get a job offer from you. We find that out and tell you right away, so you do not have to waste any more time with them. That makes a lot more work for us as you still need a great hire. After killing our best candidate, we still have to search more to find a real candidate who can tell you the truth about his good and bad. These great hires we find know they have something to offer and are not afraid to tell the truth. That makes SHI Group China a very different China headhunter. We are glad to be that way and will always dig deep to first find the hard to find. Then, we will dig deep again and uncover the whole truth and hand it to you. That is what you need, and that is what we are glad to do. 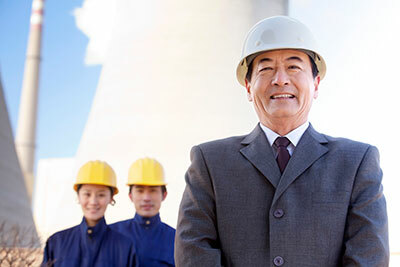 At SHI Group China, our executive recruitment China experts have helped many of the most successful organizations build their senior leadership teams. We know it is not enough to simply identify someone with the right experience. You need candidates who can tell the truth under pressure. As our client, you need someone who will not cover up bad performance and teach his or her team to do the same. In addition, you need someone who wants to learn what you really want and implement as needed. No resume can tell you this. However, you need this, and so we have developed a system to identify and filter out people who lie to get the job offer from you. That is a lot more work for us as we kill our best resumes. Moreover, we know you need a real leader and not just a candidate who is very good at resume and interviews. Based on our deep experience and openness with candidates, we are able to get them to listen to the opportunity and get interested in it for the right reasons. SHI Group China recruiters are able to draw them out and have a 90 to 120 minute very informative interview with them. Moreover, the deep details we dig to get, and the names and projects we learn about give us a base to do a very good background check. Then we can see if they have really done what they said they did. We are also leaders interviewing leaders. We have studied and implemented leadership deeply. Thus, we are able to understand your need for hands on leaders who can inspire others to great achievements. We know what that looks like and can find out who really has that. Our astounding ability to identify hard to find candidates and get them to apply is valuable. However, our ability to uncover and know the candidates is unmatched and of yet greater value to you. Our clients love our interview and background check reports. They learn what they could never have known about the executive recruitment China leader we have presented to them. We have high ability to find talented executives in China. At SHI Group we gain gain insight into their leadership capabilities and career goals. Also, we are able to attract the best candidates—those who have the ability to turn around a business, build high-performing teams or create a culture that fosters innovation. As part of our executive recruitment China process, we conduct a rigorous assessment of candidates’ track records, knowledge, abilities and potential. Our clients and candidates value us for great candidates, open and real data, honest advice, and commitment to their success. Using Accuhire® China Recruiting, SHI Group China has the ability to act and react quickly. We know that all organizations require an effective leadership team at the top. The complicated challenge of finding senior level executives is best met with the support of a firm with a proven track record of success. The tools that we use provide a unique perspective regarding culture, leadership, team and performance “fit”. Furthermore, our integration thinking ensures that new leaders are integrated quickly and successfully without breaking stride. The responsibility of conducting an executive search and China recruiting for a senior-level management position is never taken lightly. Therefore, companies all over the world have relied on SHI Group China to build successful flourishing leadership teams. Our unique approach to talent acquisition allows us to build winning relationships with both clients and candidates. Nothing is more important in the hiring process than ensuring fit. What differentiates our team and translates into meaningful benefits for our clients is how we ensure ‘fit’. We find transparent candidates and are transparent with them. It is this double transparency that gets you no surprise right fit hires. SHI Group China is recognized as a quality driven firm that exceeds expectations by actively listening to its clients and consistently delivering results. As a recruitment agency China, we are committed to recruiting the best talent in the world. We have attracted the most successful search consultants with shocking skill and transparency. Consequently, this high caliber of search consultant will improve your China recruiting process and allow your company to better understand the competitive landscape. In today’s fast-changing business world, building leadership teams that work has never been more important. 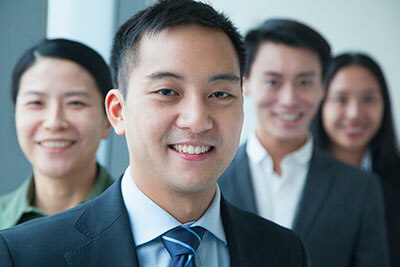 Our staff is experts in identifying the best executive talent for China. Balancing “intelligence and intuition”, we look behind the obvious to analyze what truly matters. We listen to our clients—connecting with their business, culture and traditions, to ensure we understand what they need, whatever the challenge. Whichever industry you operate in, our teams have the deep local knowledge and deep ability to know candidates to help you find the perfect fit. A successful China recruitment experience requires rigorous analysis, creativity, logic and sound judgment. Through our executive search process, SHI Group China provides organizations extraordinary executive candidates. In addition, our team combines industry expertise with cultural knowledge to ensure clients also have a dynamic selection of candidates. Through a deeply experienced and transparent team, we guide businesses towards appointments that will transform your business. Our relentless desire for true results drives us to understand your business like no one else. Most importantly, SHI Group executes China recruitment to find candidates who can engineer major breakthroughs for your business success. At SHI Group China, we understand diverse experiences lead to fresh ideas, perspectives and business values. We help you build leadership teams that mirror the world we live in. When working with our firm, clients gain access to a highly diverse candidate pool. Knowing the right leader can sometimes come from unexpected places. So, we look beyond any single sector or function to identify opportunities to capture top talent. We work diligently to follow the career progression, interests and expertise of highly sought-after prospects. SHI Group commits to thorough research to know them well as we think any recruitment agency China should. We know that top candidates are hard to find—and even harder to recruit. Because of SHI Group China’s innovative small-by-design model, we aren’t constrained by the “off-limits” restrictions that hamper large headhunter firms. SHI Group leverages that unique advantage to find prime talent that other firms miss. 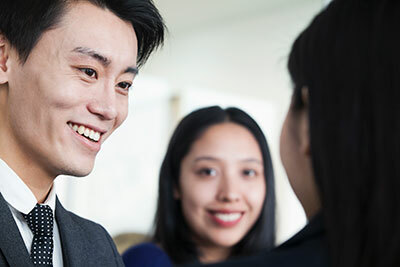 As focused China headhunters, we pinpoint the best talent for both public and private companies, as well as venture capital and private equity firms throughout our China recruitment process. China is the biggest growth market in the world. Companies who want to grow need to be in China. Therefore, SHI Group China helps companies enter the Chinese market by providing dedicated workers to assist companies with their particular needs. SHI Group China offers dedicated workers for sales, market research, R&D, sourcing and service. We can help your business enter China and make it a great and profitable experience. What is a Dedicated Worker in China? Having a dedicated worker in China involves signing a contract with SHI Group to have us assist you in China. This may include employing and overseeing full-time workers. Premium Executive Recruitment China is here. We are glad to serve Western Companies active in China.